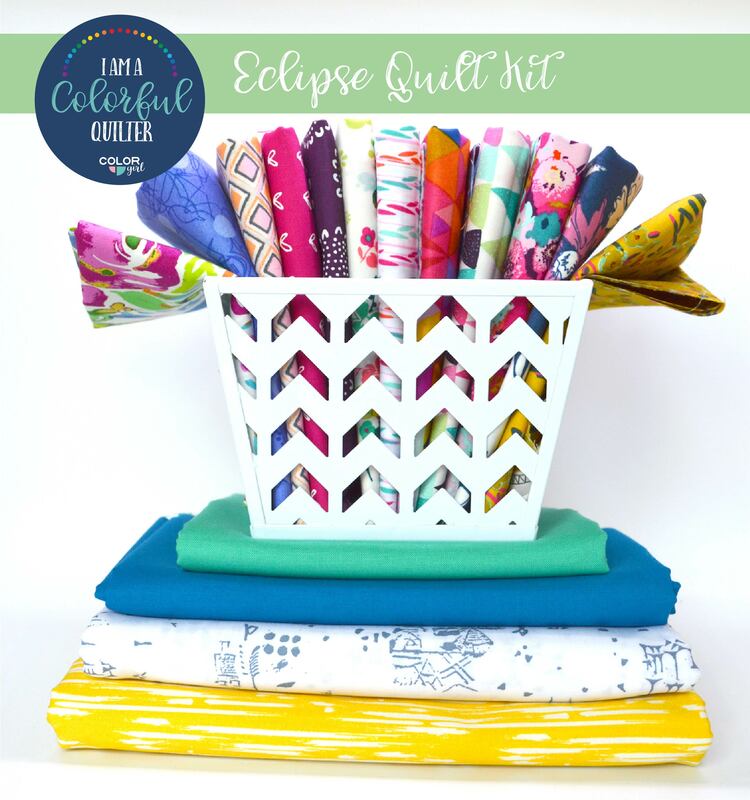 Gorgeous fabrics are chosen especially for you to make the Eclipse quilt with that distinctive Color Girl style: cheerful colors in the perfect mix of prints. 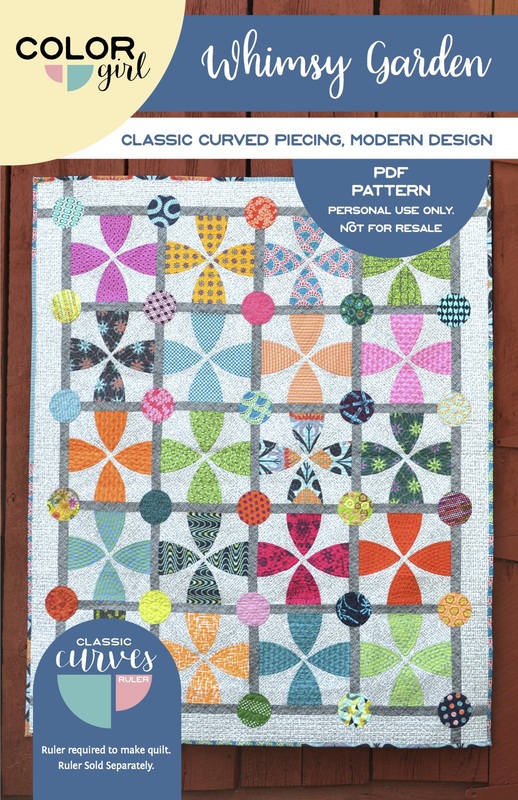 You are ready to sew up a masterpiece as soon as the kit arrives in your mailbox. 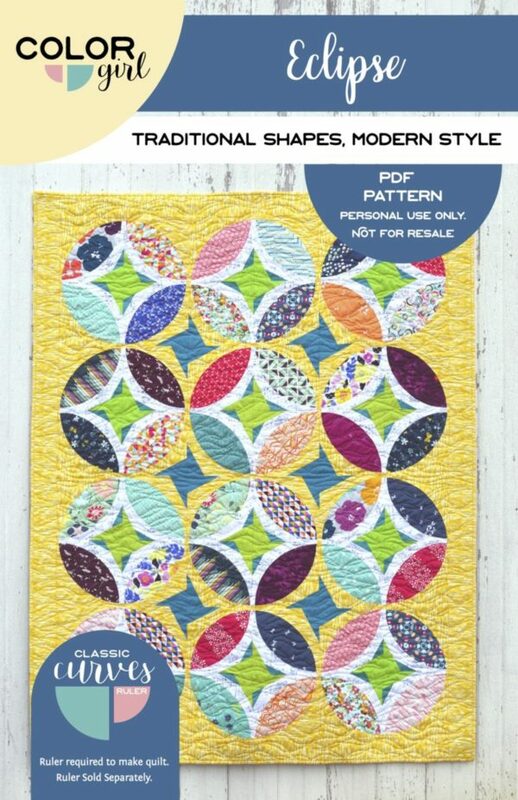 Kit includes fabric to make 47″ x 61″ quilt top: 1/3 yard each of 12 prints, 2 3/4 yards yellow print (includes enough for binding), 1 2/3 yard light print, 2/3 yard blue, and 1/2 yard green fabric, plus printed pattern booklet. 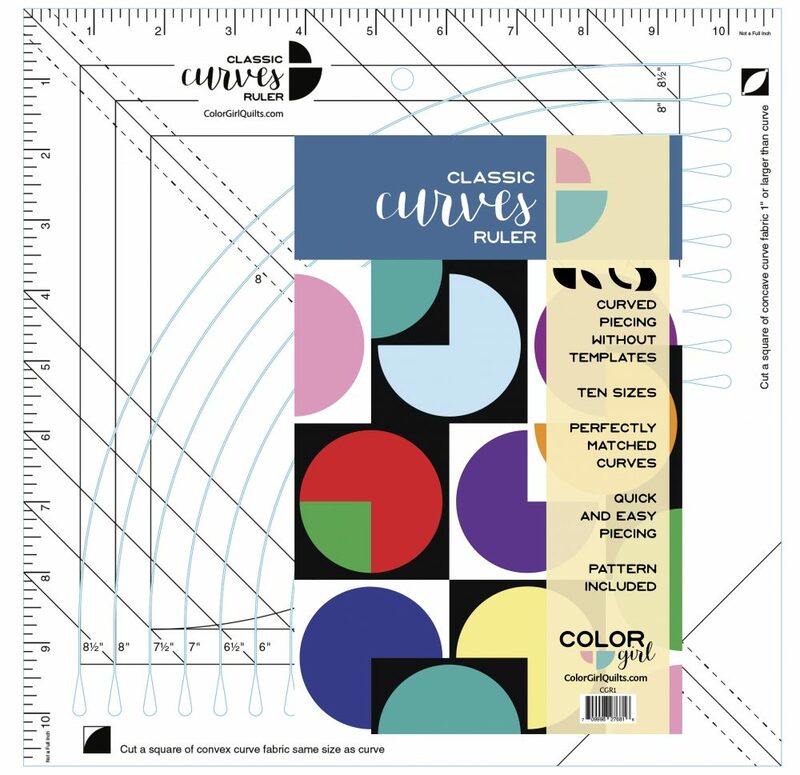 Also needed: Classic Curves Ruler, sold separately. 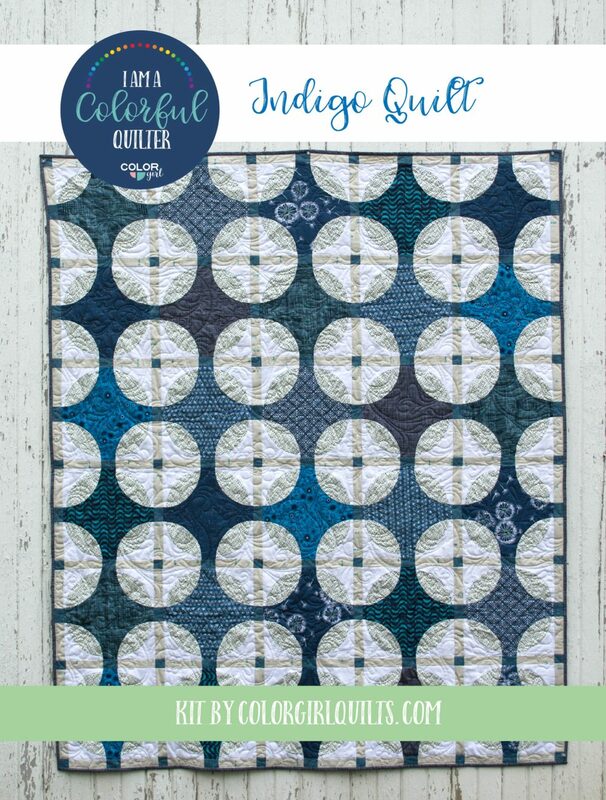 Each Color Girl fabric collection is individually curated to provide the ideal combination of color, value and variety to make a quilt you’ll love. 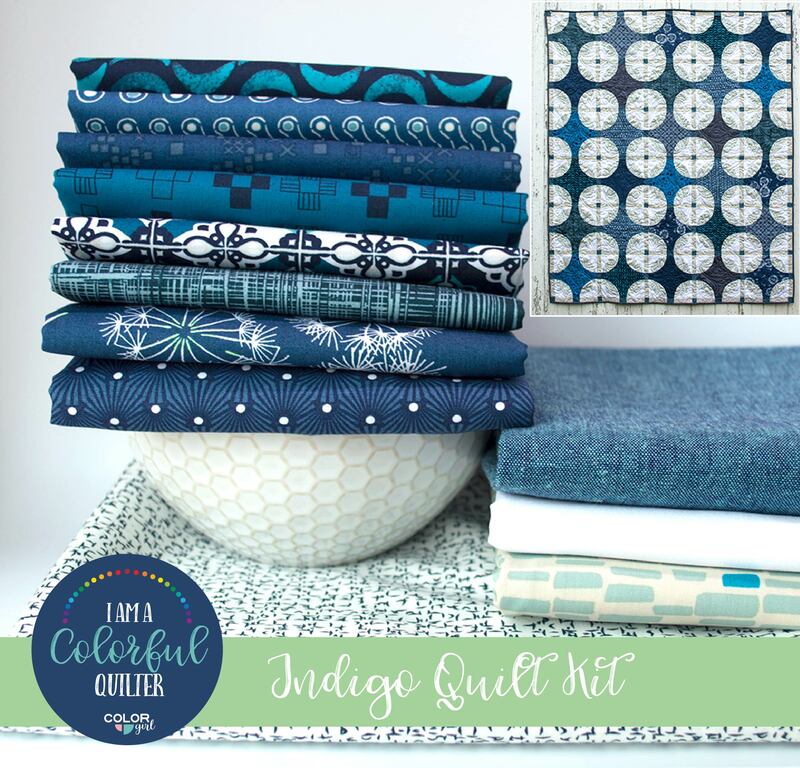 Kits are available in limited supply only at Color Girl to provide you a unique fabric shopping experience. 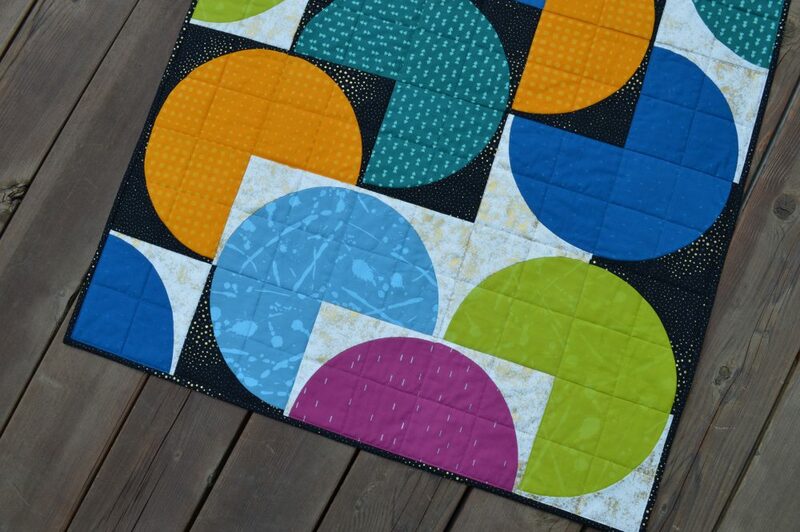 Your fabric order comes with a free gift: a happy mail day for sure. 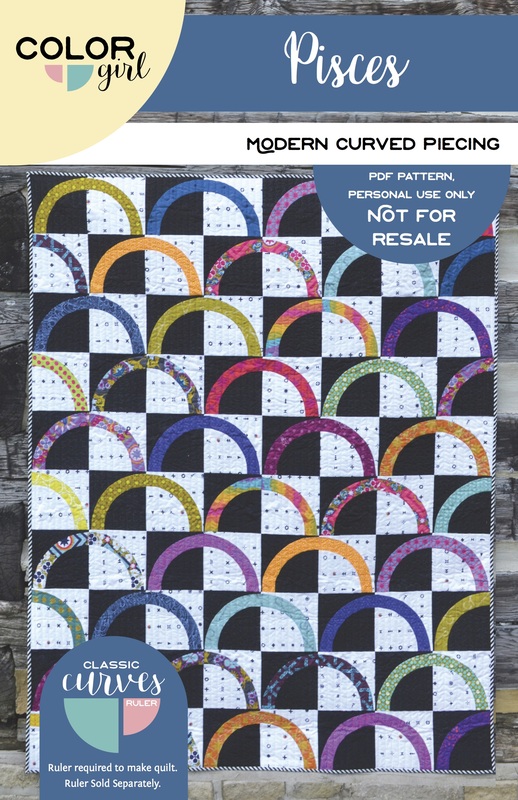 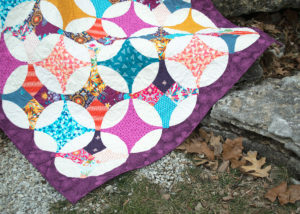 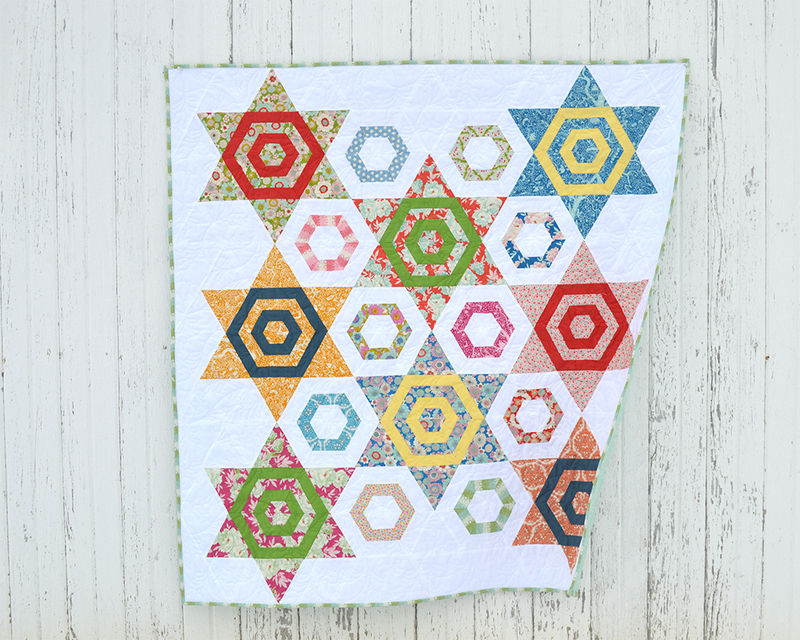 Take the guesswork out of fabric selection and master curved piecing with the Eclipse quilt kit. 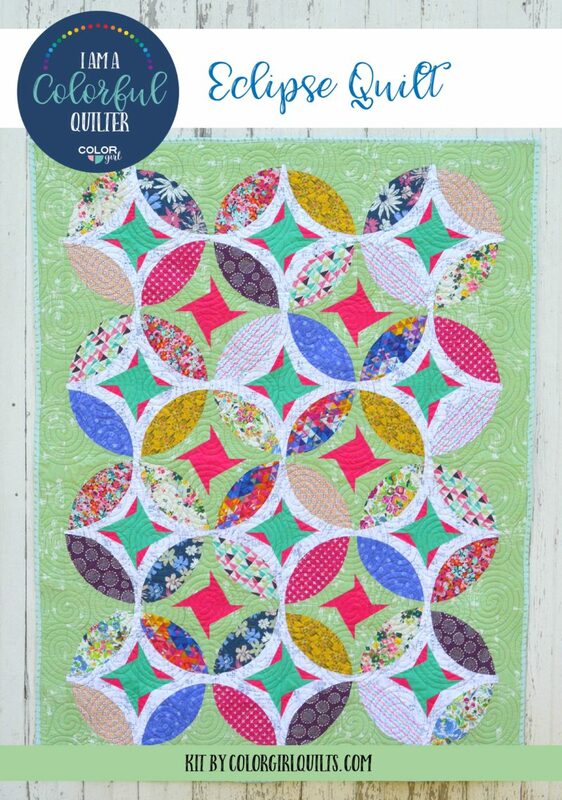 The Classic Curves Ruler makes cutting quick and super accurate so you’ll enjoy every minute of sewing up this impressive quilt. 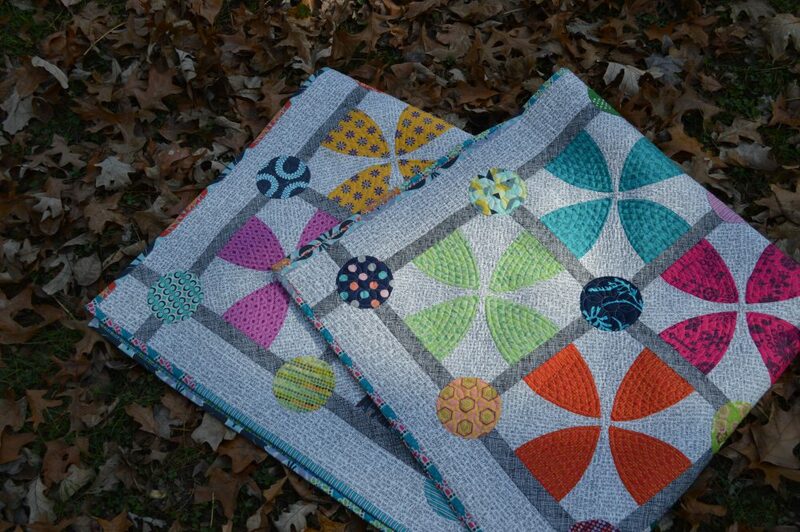 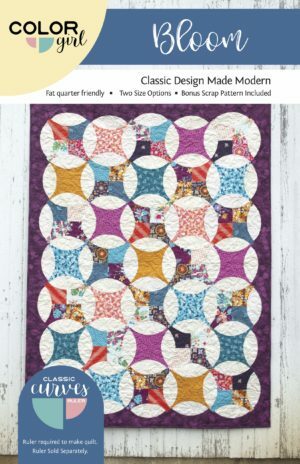 Kit includes all fabrics and pattern you need to make a 47″ x 61″ quilt top. Just add the Classic Curves Ruler and you’re ready to sew! 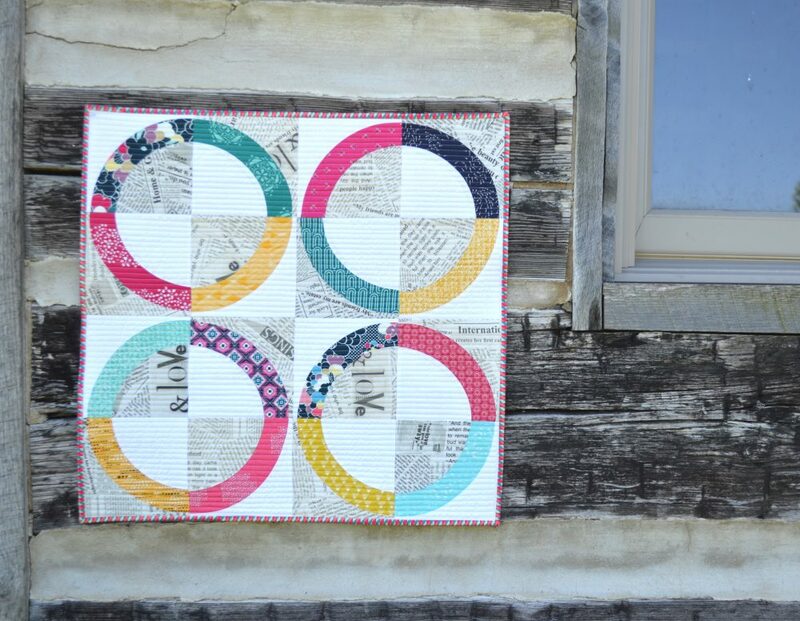 Tag your photos with #classiccurvesruler #colorgirlquilts on Instagram.